Picture yourself floating through the air, with a ladybug-spotted balloon overhead, surrounded by your best friends and some adoring crew members. Picture yourself floating above India, Africa, even the Pacific Ocean. Picture yourself with fancy hats, stylish traveling dresses, and oversized parasols. Did all that imagining make you feel light and bubbly, maybe even a little giddy? Well, that’s a bit what reading the Custard Protocol books feels like, start to finish. 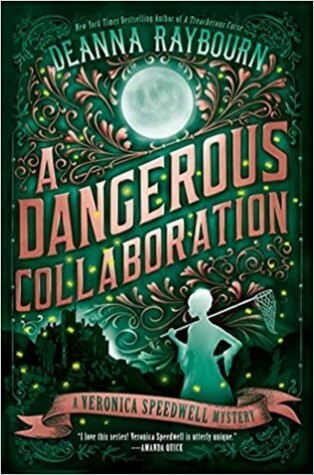 The books in this delightful series are clearly fantasy, feel-good adventures, featuring exotic locales and extravagant fashion mixed with plenty of tea, camaraderie, and mid-air shenanigans. As Competence is the third book in the series (with one more still to come), it’s worth taking a moment to reflect on the story so far. In book #1, Prudence, we’re introduced to the young leading lady, Prudence Alessandra Maccon Akeldama, daughter of a preternatural and a werewolf (who themselves are the stars of the phenomenal Parasol Protectorate series). Known as Rue, she’s feisty, independent, and itching for adventure. When her adoptive father, the vampire Lord Akeldama, gives her her very own dirigible, Rue takes to the skies with her best friend Primrose, Prim’s twin brother Percy, the flirty Frenchman Quesnel as ship’s engineer, and a crew full of oddball characters. All sorts of chaotic escapades ensue, including run-ins with weremonkeys and a very attractive werelioness. In the 2nd book, Imprudence, the crew once again floats off on adventure, this time to Egypt, where they’re pursued by various bad guys, meet a ghost, and befriend some airborne nomadic tribes, And in the midst of all this, Rue discovers the pleasures of physical intimacy and love, and enjoys both immensely. Competence picks up the story just a little while later, but this time around, Primrose takes over as lead character, occasionally ceding the POV spotlight to her brother Percy. Through their eyes, we continue on to new adventures on board the Spotted Custard (Rue’s dirigible), first in Singapore and then across the ocean to Peru. Prim is a very proper young woman, a steadfast friend to Rue and one heck of a ship’s purser, responsible for keeping the dirigible stocked, fueled, and ready to float off at a moment’s notice. Despite being determined to achieve a society-approved good marriage, Prim finds herself increasingly drawn to Tasherit, the exotically beautiful werelioness who is now a full member of the crew. Prim can’t quite bring herself to venture so far outside the bounds of approved English standards as to enter into a relationship with a woman, but there’s no denying the spark between the two, and as Prim acknowledges, cats can be very persistent about getting what they want. Meanwhile, the Spotted Custard’s adventures include the discovery of a strange and endangered breed of vampires, unusual weather patterns and weird pirate ships, and a spontaneous heist of helium from an unsuspecting tourist vehicle. Plus, the usual shipboard quibbles and romances, as well as philosophical discussion groups and scientific theorizing. Looking back, I’m a little shocked at myself to discover that on first read, I didn’t fall in love with Prudence. It makes me itch to go back and rewrite my original review! Sometimes, though, it’s just a question of mood and timing. Maybe I wasn’t in the right frame of mind to appreciate the Custard Protocol when I first read the first book. When I revisited book 1 as an audiobook, I adored it, and loved the 2nd book just as much. A note on the audiobooks: They’re amazing! 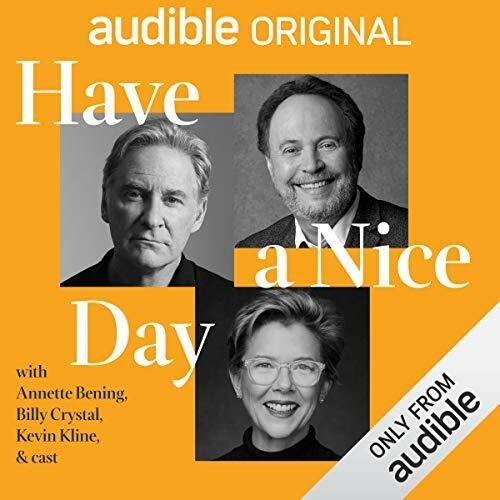 Narrator Moira Quirk does an outstanding job with the characters, capturing their voices, their accents, and their personalities, and making each one distinct and instantly recognizable. She’s also great with the action scenes, and really brings out the humor of Gail Carriger’s fantastically quippy dialogue. 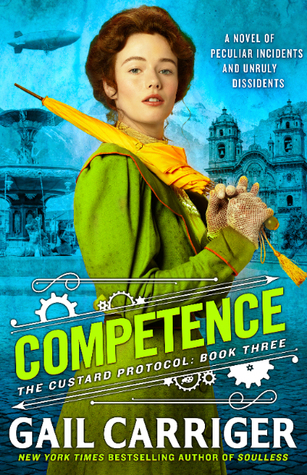 The Custard Protocol series is truly delectable, and Competence is a wonderful addition. And now, we wait… Book #4, Reticence, is due out in 2019. There’s something satisfying about finishing a trilogy, even if it’s not the best thing you’ve ever read. Such is the case for me with the Gemma Doyle trilogy by Libba Bray. 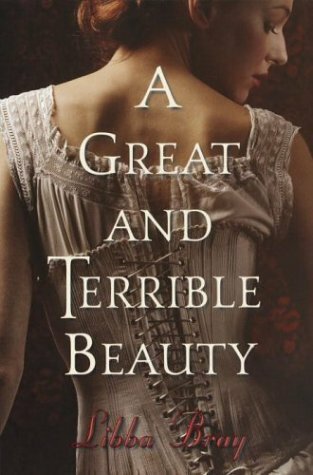 I read the first book in the series, A Great and Terrible Beauty, over 10 years ago, and apparently didn’t think very highly of it at the time — my original Goodreads rating was only one star! Over the years, though, I’ve had multiple people tell me that I should give the books another try. And after finding copies of all three at library sales (all paperbacks $2 or less! 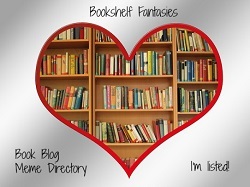 ), I’ve considered starting the books at several different times. Finally, this year, I decided to give it a whirl, and settled on audiobooks as the way to go. 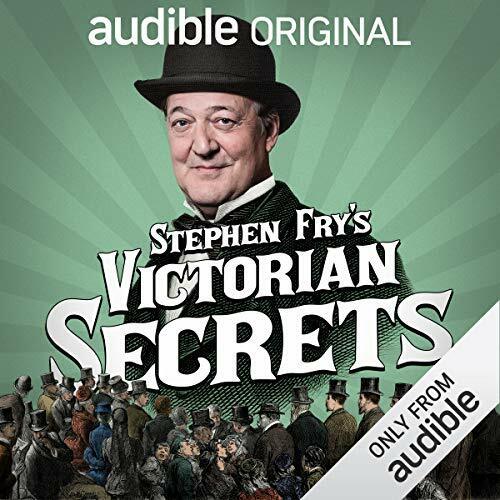 First, let me just say that the audiobook narrator, Josephine Bailey, is very good. She has to portray a variety of girls of different social statuses, as well as servants, teachers, and various other adults, keeping them all distinct as individuals. There’s never a doubt which character is speaking at which time. Note: I did ditch the audio format for a printed version for book #3, as I just couldn’t see devoting over 20 hours of listening time to a book I was feeling not entirely excited about. Okay, the story, bare-bones version: Gemma Doyle is an English girl raised in India during the Victorian era. At age sixteen, she’s yearning for the London society she glamorizes in her mind, and her resentment at being denied this leads to conflict with her loving mother… and then her mother dies suddenly, a victim of a murder with supernatural overtones. Gemma is transplanted back to London, the place of her dreams, but not at all in the circumstances she’d yearned for. Instead, she’s full of pain and regret for her final arguments with her mother, feels lonely and out of place in cold, damp England, and has no one close to her other than her brother Tom and her bereaved father, so grief-stricken that he’s become addicted to laudanum as an escape from his pain. Gemma is sent off to Spence, a finishing school for young ladies, where she’s initially mocked and scorned by the mean girls clique, but eventually she finds a way in. Soon, she’s part of a group of four, drawn to the stories of magical powers that their teacher shares with the class. They learn of the Order, an ancient league of sorceresses with powers that allow them into the realms, a magical world between worlds. Gemma finds that she has the power to enter the realms and to bring her friends Felicity, Pippa, and Ann with her. The realms are full of magical delights — but there are also disturbances, as an old enemy wants back in and a secret society called the Rakshana try to control the Order and their use of magic. Book 1, A Great and Terrible Beauty, focuses on Gemma’s discovery of the Order and the realms, and her fight to defeat Circe, a witch gone bad who wants to gain control of the realms and its powers by using Gemma. The four girls travel together through the land of magic, and along the way, face hard truths about themselves and their pasts. Tragedy ensues, and there appear to be fractures within the group. 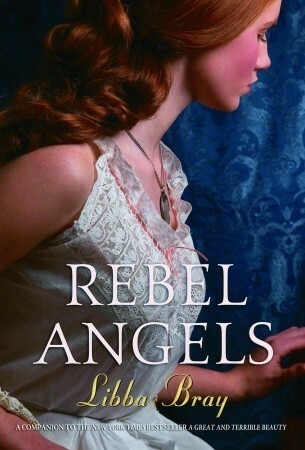 In the second book, Rebel Angels, the girls are back at school before heading to London for the Christmas holidays. Intrigue and danger escalate; Gemma has succeeded in battling evil forces previously, but now there are repercussions as the limits on magic in the realms seem to have been lifted. It’s now up to Gemma to find the source of the magic in the realms and bind it so that it can’t be used for evil purposes. Finding the source turns into a quest for the girls, as they repeatedly enter the realms and travel through parts previously unknown, encountering strange creatures and danger at every turn. 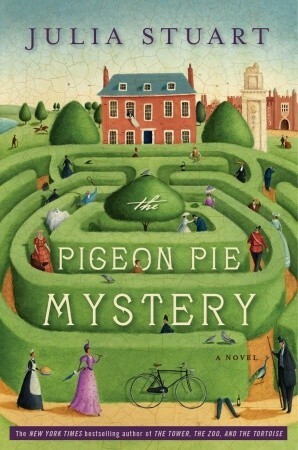 Meanwhile, back in the real world, they’re also dealing with the ups and downs of London society, including balls, dinner parties, and suitors, and Gemma’s heart is torn between the handsome, respectable young man who courts her and the Indian boy from the Rakshana who seems always ready to protect her. Bonus for boy #2: He’s gorgeous and sets her heart a-flutter. In book #3, The Sweet Far Thing, Gemma deals with a promise made to share her magic with the peoples of the realms, while also dealing with the perils of making her social debut and having a “season” in London. There’s a lot of travel in and out of the realms, as the magic seeps into the real world in dangerous and unpredictable ways. Gemma doesn’t know who to trust, and her bonds with Felicity and Ann are tested as their desires come into conflict. The book builds to a war between factions within the realms while outside forces maneuver to gain power. And somewhere amidst all the drama, Gemma still finds time to worry about not falling over while curtsying during her presentation at court. What’s a Victorian girl to do? Now that I’ve read the entire trilogy, do I stick with my one-star rating? Clearly, no — or else I wouldn’t have bothered with books 2 and 3. I didn’t hate the books, and I even thought parts of the story were quite good. I liked many of the characters, and felt the author did a good job of differentiating between the four girls at the center of the story, giving each a clear and distinct personality and letting us understand what makes each of them tick. 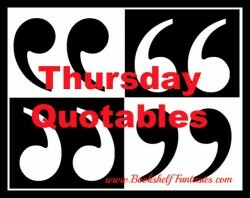 But the books are flawed, and the flaws become exaggerated with each successive book. Part of the problem I have with these books is that the friendship between the girls, so crucial to the story, feels false and even flimsy at times. They’re not particularly nice to each other, and while they claim to love one another, they seem to turn sour and accusatory at the least provocation. There’s an element of trust missing, and resentments keep popping up at regular intervals. I guess I just don’t buy that these young women are truly best friends or that they truly want what’s best for one another. Shades of Mean Girls creep in too often for me to feel happy with the portrayal of female friendship. In book #2 especially, the plot meanders… and I mean, a lot. The quests are mostly pointless filler. The story (and the book) just doesn’t need to be as long as it is. There are water nymphs and gorgons and people of the forest, and none of them really matter. Ultimately, the story is about Gemma’s access to magic and whether she can control it, and about the struggle between the different factions that want to control the magic and keep the others out. All the travels up and down rivers and through the woods are mainly there for colorful filler. And book #3 — well, when I tell you that it’s over 800 pages, that should tell you a lot. This book should either have been split in two or — my preference — subjected to some ruthless editing and trimming. It’s overstuffed and not nearly focused enough. My complaints about the portrayal of the girls’ friendship holds true. Even this late in the game, the girls turn on one another, questioning loyalties, making accusations, and expressing a level of mistrust that doesn’t make sense given what they’ve been through together. Another quibble I have with these books is that — despite the huge number of pages in the entire trilogy — the world-building is weak. How exactly does a person bind or share magic? Where are all these other Order members? Why do things work the way they do in the realms? I always felt like I was missing information, like a jigsaw puzzle with key pieces missing. Also problematic is Gemma’s habit of ignoring advice (which the other girls are at fault for as well). She’s told not to trust anything or anyone she encounters in the realms — so she immediately trusts the first being she sees because it appears to be someone she knows. She constantly puts her faith in people who turn out to be baddies, and blindly hates those she decides are bad but who may not be. She also swears to be truthful with her friends and then goes behind their backs at a moments notice because she thinks they won’t or can’t understand or they’ll try to stop her (from doing things that are often ill-advised). Not a whole lot of common sense, basically. I do think that the portrayal of girls’ and women’s lives in Victorian society is very well done. Females are pigeon-holed into prescribed roles early on, and any deviation from the norm is a cause for mockery, disdain, or ostracization. 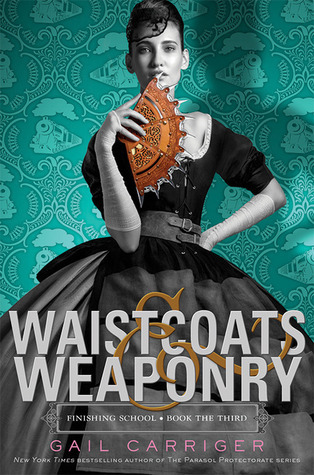 The author repeatedly shows how the clothing of the era reinforces the restrictions society places on girls. One can’t very well run or defend oneself while wearing corsets and petticoats — walking demurely and sitting up straight and staying calm are basically enforced by the clothing required for respectability. As we walk, the men survey us as if we’re lands that might be won, either by agreement or in battle. The room buzzes with talk of the hunt and Parliament, horses and estates, but their eyes never stray too far from us. There are bargains to be struck, seeds to be planted. And I wonder, if women were not daughters and wives, mothers and young ladies, prospects or spinsters, if we were not seen through the eyes of others, would we exist at all? Through Gemma’s eyes, we see the damage done by the petty nastiness between the girls at the school and the emphasis on beauty and status. 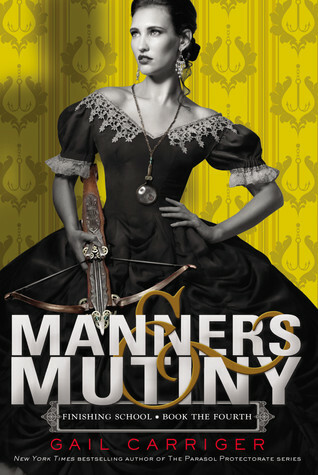 Gemma has (I hope) made a lasting change for the better by the end of the trilogy by pleading with the headmistress to offer her students meaningful studies rather than just posture, elocution, and deportment — and urging her to create an environment where back-biting and meanness isn’t the norm. It may be out of reach still in that era, but at least Gemma has given voice to what a more positive future might look like. “Why should we girls not have the same privileges as men? Why do we police ourselves so stringently — whittling each other down with cutting remarks or holding ourselves back from greatness with a harness woven of fear and shame and longing? If we do not deem ourselves worthy first, how shall we ever ask for more? If only the plot were tighter and better defined, I’d be able to be more enthusiastic about these books. There are clearly some important messages and themes built into the series, with powerful thoughts about girl power and friendship and independence and self-determination. Unfortunately, much of this positive is overwhelmed by the wandering and messy plotlines. 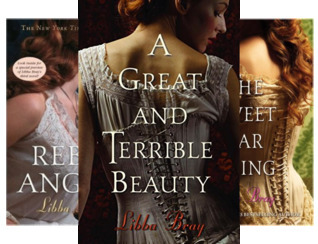 Do I recommend the Gemma Doyle trilogy. Um… I mean… yes? Maybe? 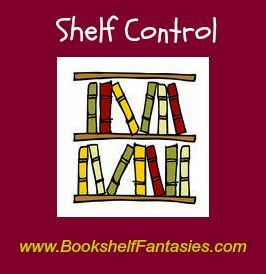 There are nuggets of good, and the books are never boring. I just wish someone had taken a big paring knife to sections of the books, and then maybe infused a good helping of explanations to the fuzzier bits. 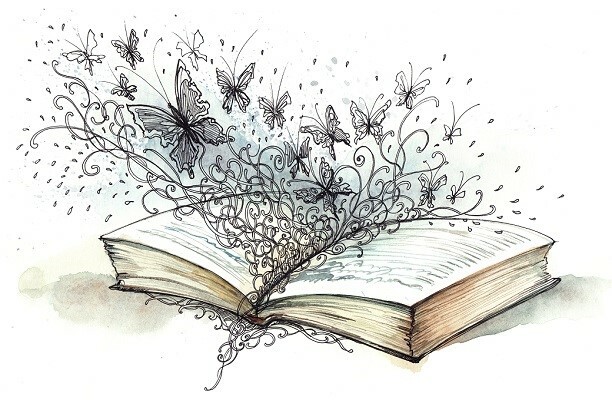 As historical fiction goes, the books do a good job of invoking the societal norms, class structures, and expectations of the Victorian era. But, if you need a tightly woven plot to go with the atmospheric elements. you might be better off looking elsewhere. One more from the Finishing School series! I’m on book #4 — the last one!! — and I’m really loving it. I’m so glad I took the time to listen to the audiobooks. 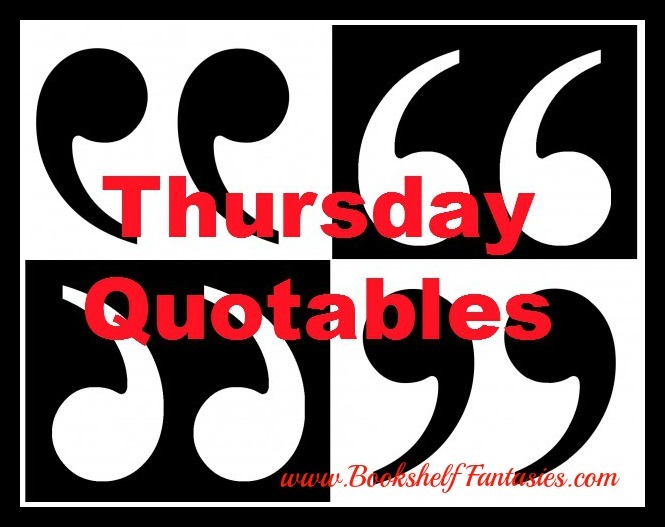 The narrator does a perfect job at conveying the silliness and adventure of it all. The whole book is just so enjoyable. I’ll just share a random paragraph that I came across today, which is odd and quirky and funny… in other words, a great example of what these books are like! Nothing could be more confusing to the poor man than Sophronia at that moment. He fell back on etiquette. What else was an Englishman to do when confronted with a wicker-chicken-wearing leather-clad tremulous smile? He drew the only ready weapon he had — manners. “Good evening, miss…” He trailed off. 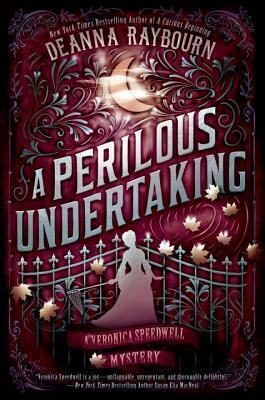 I’ve finally returned to Gail Carriger’s Finishing School series, and I’m finding it absolutely delicious. After all, what’s not to love about a floating finishing school that specializes in the arts of spying, seduction, and assassination? All this, and proper deployment of handkerchiefs and eyelashes too. It was a drizzly January evening, 1853, the sun recently set, and Professor Braithwope was currently twirling back and forth along the thin plank that stretched from the forward-most squeak deck’s railing to the pilot’s bubble. He was leagues up in the air.